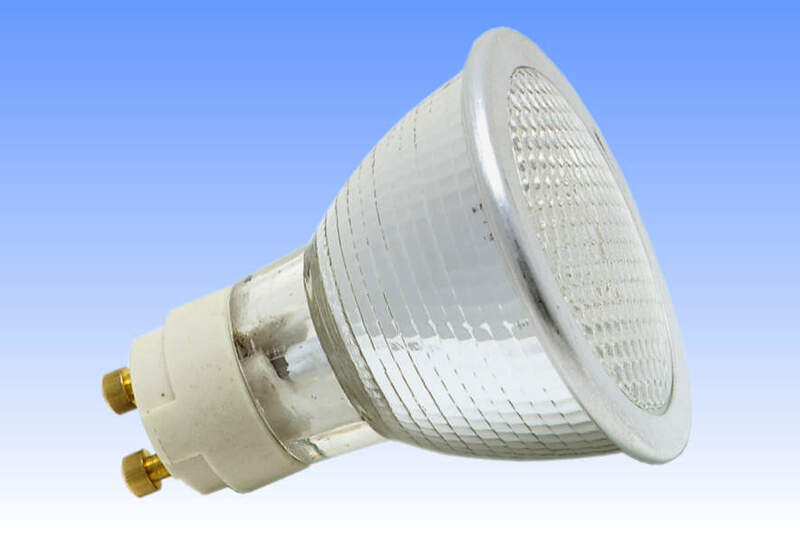 Illustrated here is an advanced prototype of the most compact metal halide reflector lamp ever made for general lighting applications. 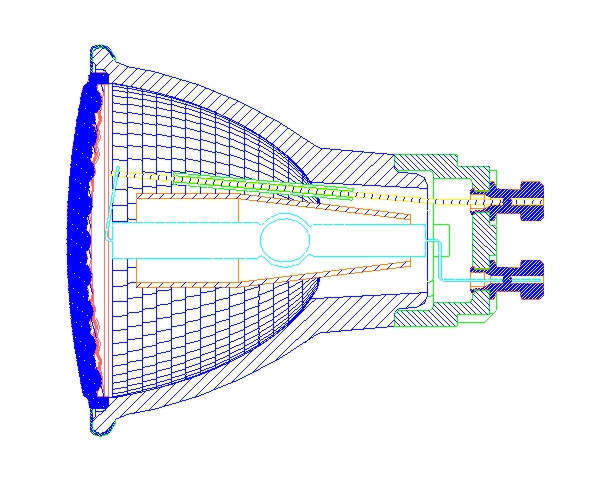 It is based on a radically new kind of arc tube to facilitate this ultra-compact development. The lamp is suitable for open fixtures, owing to the thick front lens which is clamped in place with an attractive brushed-aluminium retaining ring. The lens itself is lenticuled to ensure minimal colour variations across the beam. In such a small lamp there is no room for an outer jacket, thus a bare arc tube is employed. The niobium seals of ceramic arc tubes oxidise rapidly in air, so quartz had to be re-introduced in this design. To ensure that the quartz arc tube delivers the same colour quality and stability as ceramic, a new metal halide dose chemistry was devised. 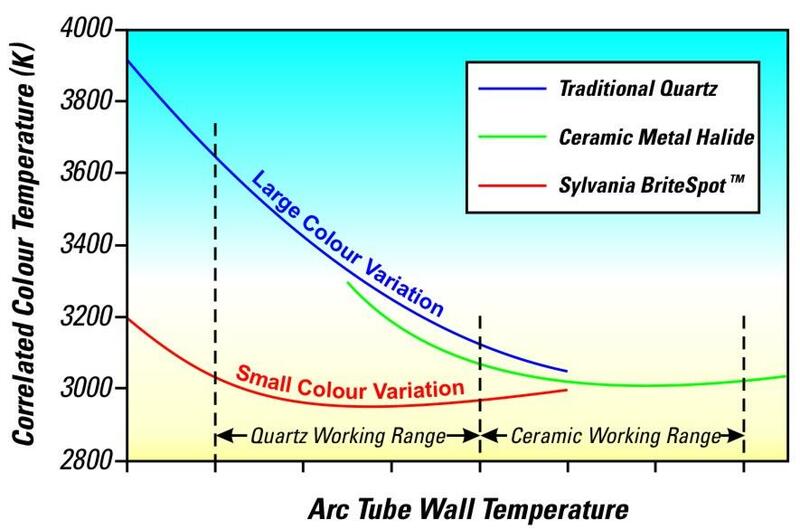 Ceramic lamps offer better colour stability partly because they run hotter, where the shape of the curve relating arc tube temperature and colour temperature is flatter. Quartz cannot endure such heat, and must operate in the cooler region which suffers large colour variations. However SLI's engineers developed a new dose chemistry which exhibits the same colour stability as ceramic, at lower temperatures, which quartz can stand (see the graph to the left). This colour stability is maintained through life by preventing loss of sodium ions from the arc tube, effected by a positively charged hard glass shroud over the arc tube. The thermal balance in the lamp is critical to prevent oxidation of the molybdenum foil arc tube seals. The cap end seal runs cooler due to the heat-sinking nature of the cap, while the lens-end seal is made longer to reduce its temperature. 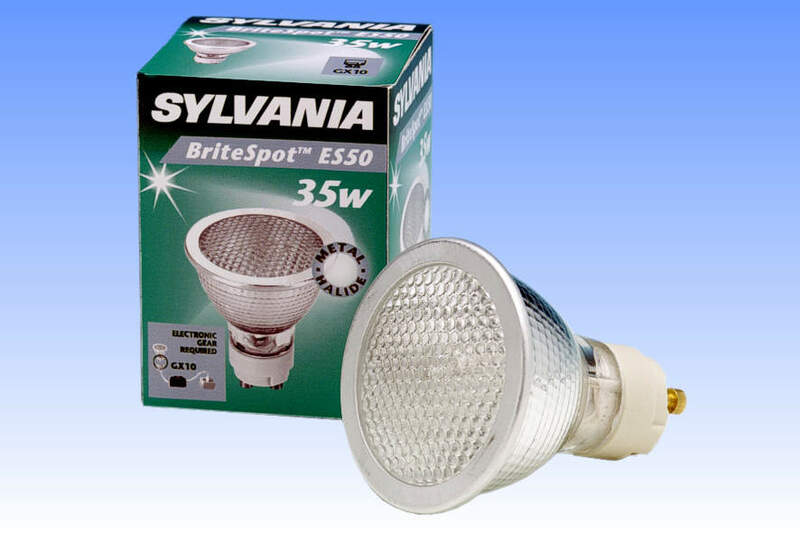 References: 1) Sylvania Press Release, Tienen, May 2003.